Her story is all too common in Anoka County. It’s Sunday morning. I am a few lines away from finishing my blog I worked on earlier this week and am leaving it unfinished to start something else entirely. Sometimes life intervenes to persuade you to shift. Last night I was wearing a black cocktail dress in a beautiful space, mingling with many in the north metro and beyond. The women looked dazzling in long gowns, fine jewelry and upswept hair. Music played in the background as we perused rows of tables filled with silent auction items. 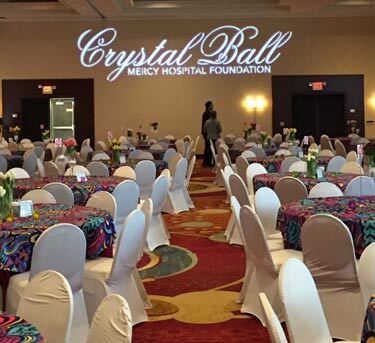 We were at the Crystal Ball, the annual fundraiser for the Mercy Hospital Foundation and it’s always a grand affair. Being on the event committee for the past six years I’ve caravanned silent auction items, labeled and packed crates of wine for our wine pull, and sat in numerous meetings to shape the event. I knew the program line-up, the speakers and fund-a-need area selection. I knew what was coming. Yet, I was unprepared for how I would feel after hearing this story. When the fund-a-need presenter walked up to the podium, she started in the familiar greeting spoken by countless people every day: Hello, my name is Laurie. Laurie is an attractive woman in a glittering silver dress and long dark hair. She is well spoken and exudes confidence. She starts to speak and it’s clear this will be a complicated story. The story is about addiction. How alcoholism crept its way into their stable, professional lives and robbed her husband of confidence, health and well-being. Her story told us addiction, once it takes hold, will never leave you. The best thing you can hope for is management after a treatment program that works for you. Even then, management will often include relapse. Her story hit home harder than I thought it would. I believed enough time had passed that I would no longer be as affected by stories like this. Addiction came into my life sideways many years ago, through a dear friend whose young sons were heroin addicts. Through their struggles I had come to know what addiction looks like in the living—and the devastation it brings in death. As a candidate for Anoka County Commissioner, combatting addiction—specifically the opioid epidemic—is an issue I care about and will work hard for our community to address. Like many of you, I have a personal story with this problem. And it has taught me to be a strong advocate who is as relentless and determined to keep our loved ones whole, as the addiction is to claim them. I believe resources must work together to support recovery. This includes, judiciary, law enforcement, mental health and social services. As a collaborator and connector, I have strong ties within these groups, and more importantly, I will continue to build relationships with key players quickly and efficiently. I am committed to be of service to this cause whenever I can find opportunity—as an elected or non-elected, no matter. Laurie’s story sounded a lot like the countless others I’ve heard throughout Anoka County. Of families torn apart, the private suffering and isolation, and the endless cycle of hope and despair. Hearing Laurie speak with such bravery and eloquence prodded at my tender spots. It was a good reminder for me that yes, no matter how much time may pass, once addiction takes hold, it will never leave. Wishing you and your loved ones well. For treatment options, Mercy Addiction Services is located in Fridley. Laurie’s husband experienced great success here. Her story helped to raise over $175,000 for addiction services at Mercy. For education and awareness, From Statistics to Solutions will hold their third annual conference on May 10th from 8:00-4:00 at Hennepin Technical College. This is open to the general public as well as professionals. As a third-year attendee, I highly recommend it.